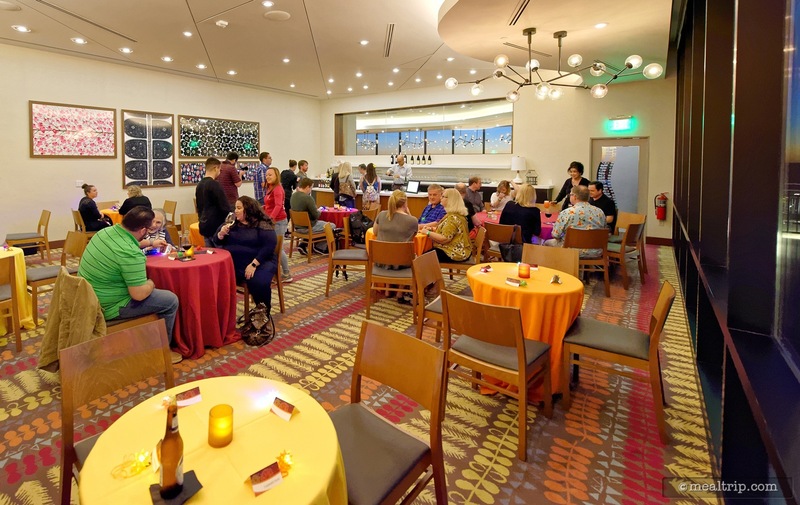 Taking place on selected Sundays in California Grill's private Sonoma Room and Napa Room, the special Celebration at the Top event is sure to be a firework party... to the nines. 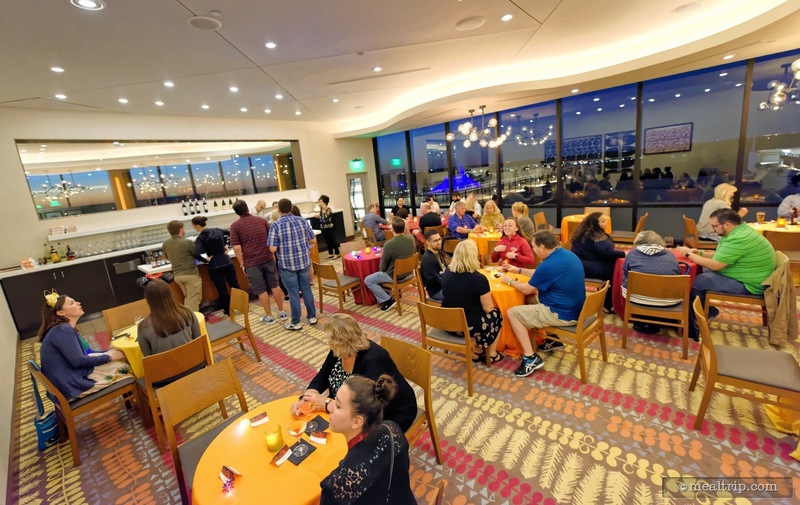 Guests can savor small plates and fine libations inspired by the sophisticated menu at the Contemporary Resort's California Grill. 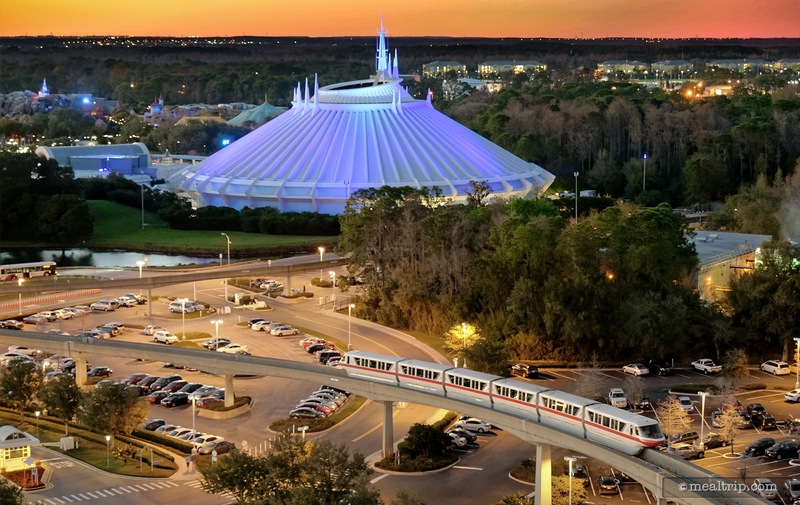 Then, delight in the sparkle of the Magic Kingdom fireworks spectacular from a private observation deck just for Celebration at the Top Guests. 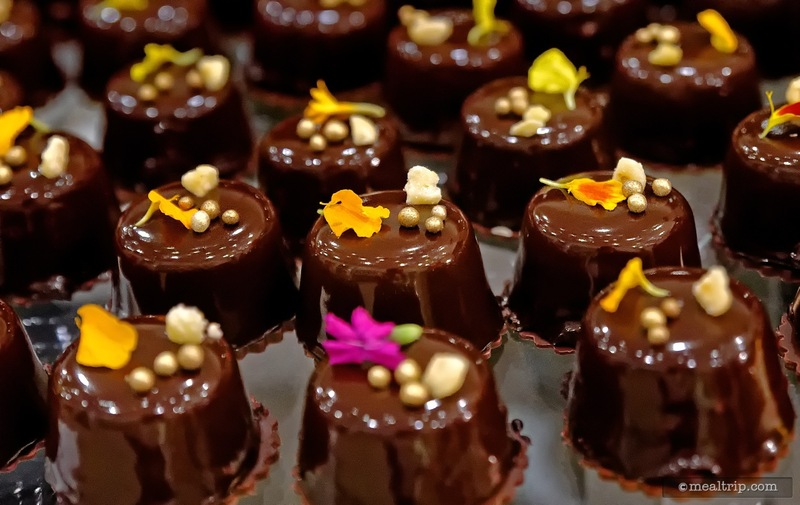 After the fireworks, return to the private dining rooms to enjoy a sweet spread of petit four desserts, cordials and coffee. 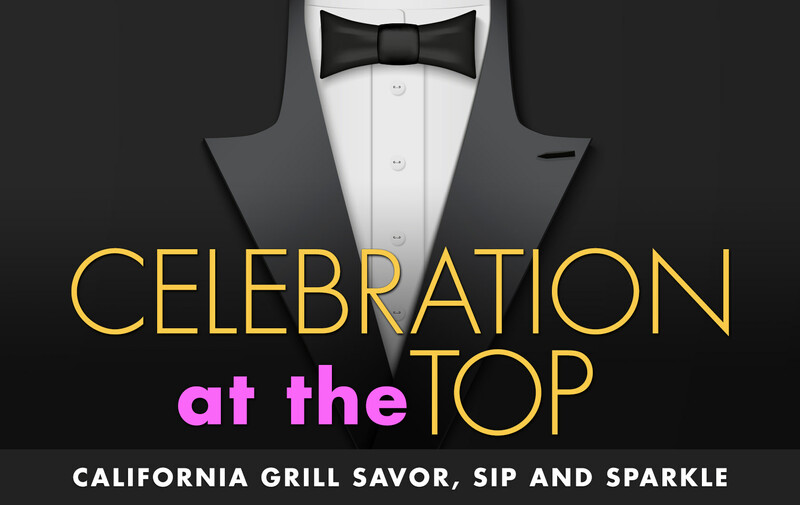 Celebration at the Top - Savor, Sip and Sparkle is a new event that takes place on Sunday Evenings only in the private Sonoma and Napa Rooms of the California Grill. It's not clear just how many of these events are going to take place. There are six more Sundays on the schedule for now… the event may be extended, or it may not, it's hard to tell at this point. This is for all intent and purpose, a firework watching party... but with some really good food and beverage offerings being supplied by the California Grill Culinary team. 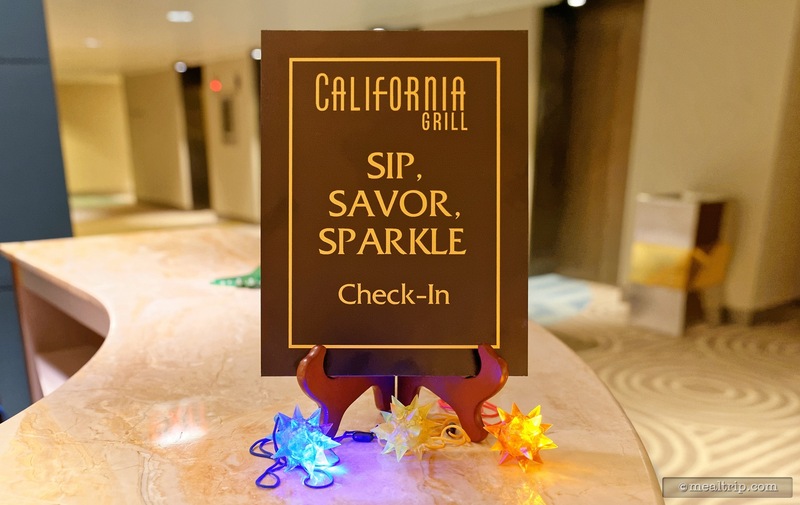 Your Savor, Sip and Sparkle check-in location is right next to the normal California Grill "front desk" (which is on the 2nd floor of the Contemporary Resort's main building). If you're a little bit early, you may be offered the option of waiting in the California Grill's lounge area. Space is a little tight up there though… if you're not going to grab a pre-sparkle drink, I'd stay on the 2nd floor until 10 minutes before the event starts. At some point, you'll be directed to the guarded elevators which will whisk you up to the 15th floor and open up onto the Wizard of Oz-like giant hallway of wine (yes, it's the same way as when you go to a "normal" dinner at the California Grill, but I never get tired of seeing all those bottles of wine). For those unfamiliar with the Sonoma and Napa Room event spaces, they are at the north end of the restaurant (that's the same side Magic Kingdom is on). The hosts and hostesses will not let you into the space until the event beings, but it's just past the restrooms, if your are familiar with the California Grill layout. I keep calling them the Sonoma and Napa Rooms because on the night I went, they were labeled differently than what I had remembered in the past… or perhaps I was drinking too much on my last visit. Either way, one is about half the size of the other. The larger room is used for seating and my best guess is that the event is limited to 40 or 50 guests maximum. The room is set with a couple large tables and some smaller four-tops as well. Because space is at a premium, if your party is less than four people, there's a good chance you will be sitting with a new table mate. This really is more of a social mixer, than a private dining experience. The important thing to remember here though is… everyone gets a chair! Which is somewhat of a premium experience at just about every other "fireworks and food" party I can think of. You'll also get your very own squishy sparkly firework star looking thing to wear around your neck! How cool is that? I love squishy sparkly firework star looking things! This main seating room also contains two bartenders along with everything they need to make 40 guests happy. Here again, I've been to quite a few of these things, and having two bartenders for 40 guests, is a really great ratio. This was (naturally) an open (or courtesy) bar, i.e. your ticket price includes whatever you want to drink for the duration of the event. There were five or six beers (most of which were fairly common), and at least five or six spirits listed on a little digital monitor. 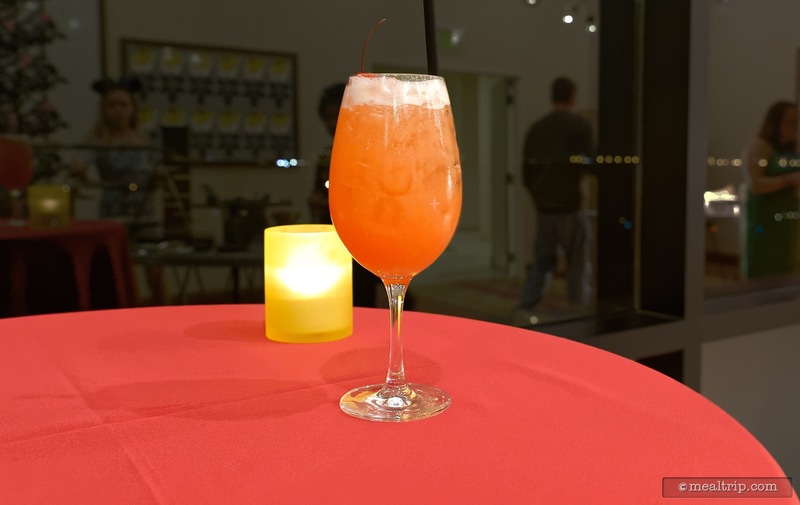 Honestly though… it seemed like these guys were able to make anything from an Appletini and Manhattan, to a Fruity Rum Punch and Iced Coffee Cream Cocktails. 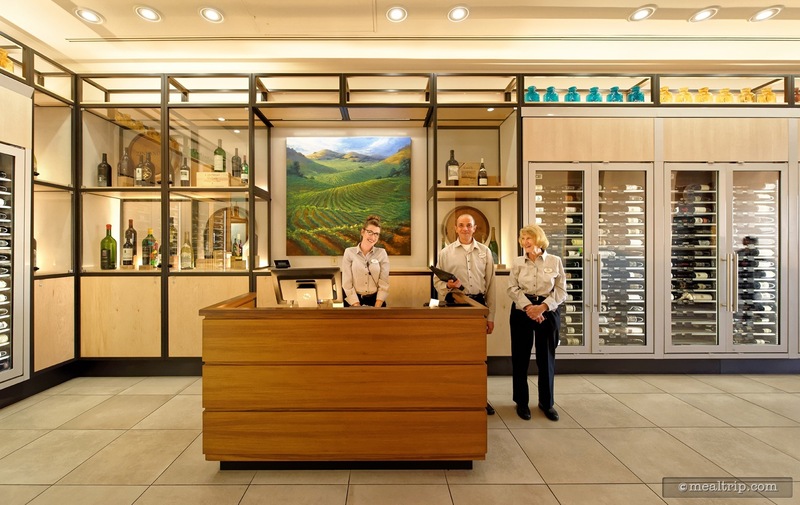 There were also six California regional wines available (the specific wines will change from event to event), that would fit in quite nicely at the California Grill. A 2014 Mountain Cuvee (I believe, because here again… drinking), A Lafond Pinot Noir, one of the MacMurry Estate wines, a Michelle Brut Sparkling wine, and my personal favorite… a 2012 Anderson Valley WindRacer Chardonnay. For those that don't know wine (and because I'm far too familiar with WindRacer) the 2012 Anderson Valley was a $40 bottle retail, (which means it used to be $69 a bottle in various Disney dining locations)… so this isn't exactly three buck chuck that they're trying to dump. I managed to polish off most (if not all) of one bottle of the WindRacer so my apologies to anyone looking for more of that particular wine, at this particular event. In the smaller of the two rooms (just across the hall) is the food! Yay! Two self-serve catering tables were set up... one was for sushi-based offerings and the other was for warm items. Everything… is the exact same stuff that you could order directly from the California Grill menu... just in slightly different proportions. 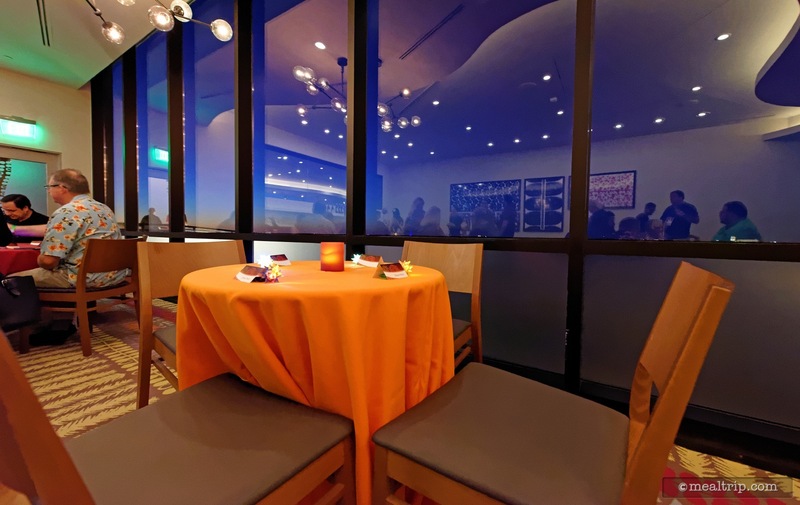 Here again, the food is presented in an all-you-care-to-enjoy format… so nosh-away! The sushi was all fresh and amazing. Four rolls were listed, but I have photos for five different looking pieces of sushi (again, with the drinking)… there was also a small side dish of pickled ginger, soy, and wasabi to go along with the sushi. Also on the sushi table, a very pleasant surprise… a fabulous little Lobster Roll with Avocado & Micro Arugula! I recently has a Lobster Roll at a certain festival (that will remain nameless) for $7.50, that was overcooked and stringy. 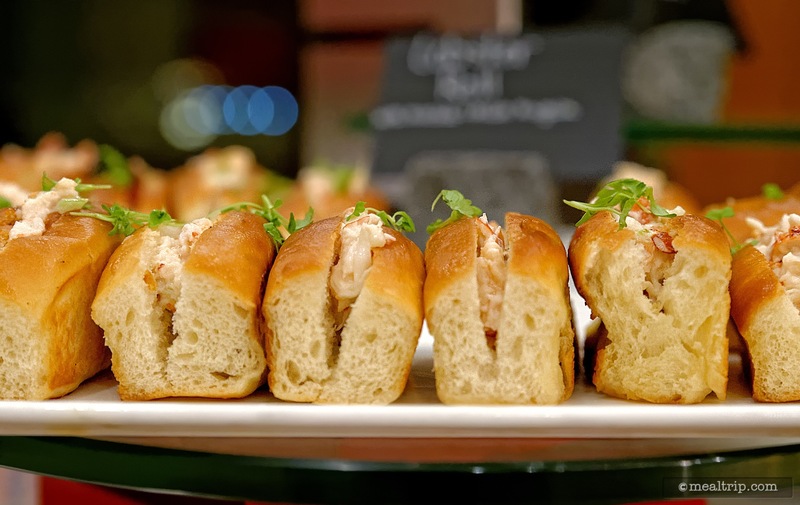 The Lobster Roll at Savor, Sip and Sparkle… really did feature perfectly cooked lobster, in a fresh roll, and the Avocado was a nice bonus! The next table over (and please, make sure you check out our photo gallery for this event… there's all kinds of captions with the photos that tell more of the story)… featured some warm items. 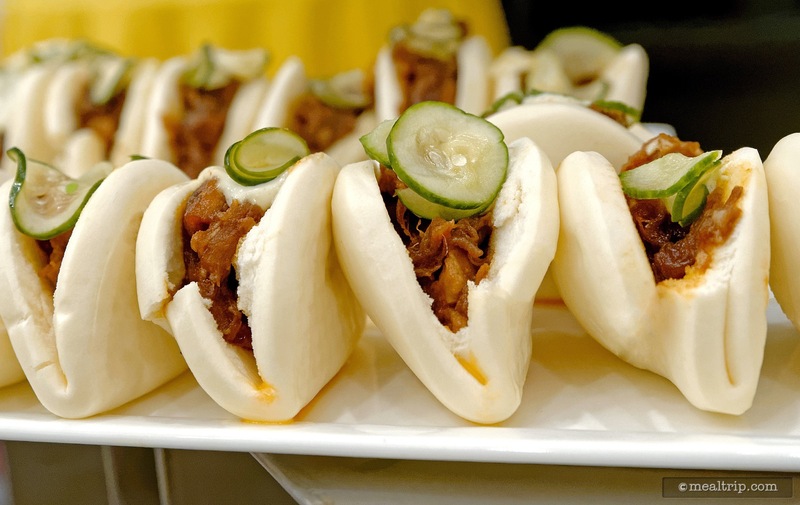 There was a Pork Belly Bao that seemed to be a guest favorite (a Bao is a steamed bun), and a Tandori Style Chicken Satay with Vietnamese Peanut Sauce… which was not only great… but a brave choice (i.e. sorry peanut allergy guests… I'm sure they could whip up a batch that didn't come anywhere near the Peanut Sauce if you ask them to). 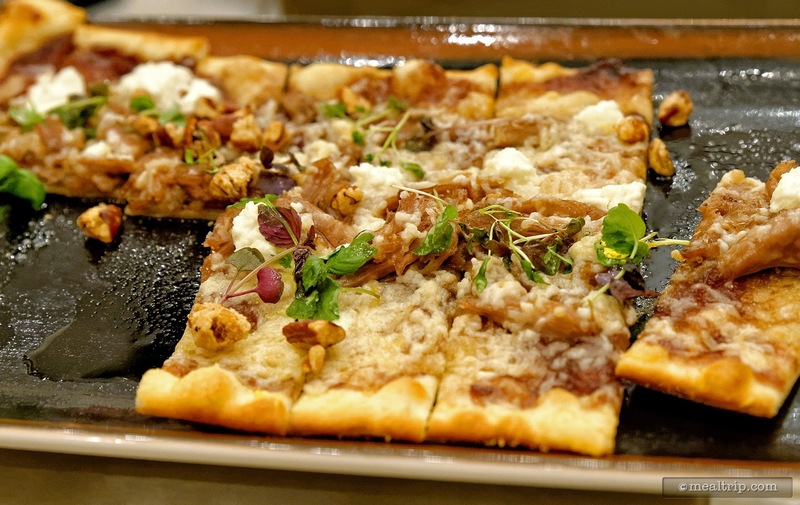 Two artesian level flatbreads rounded out the warm table offerings… a very tasty Duck Confit Flatbread with Red Onion Jam, Laura Chenel Goat Cheese, and Candied Pecans along with a Roasted Tomato Flatbread that featured Laura Chenel & Midnight Moon Goat Cheese, Arugula Pesto and Aged Balsamic. Both… were amazing! I honestly could not pick a favorite between the two. After about an hour with the two bartenders and all that food, an announcement was made that the fireworks were about to begin. 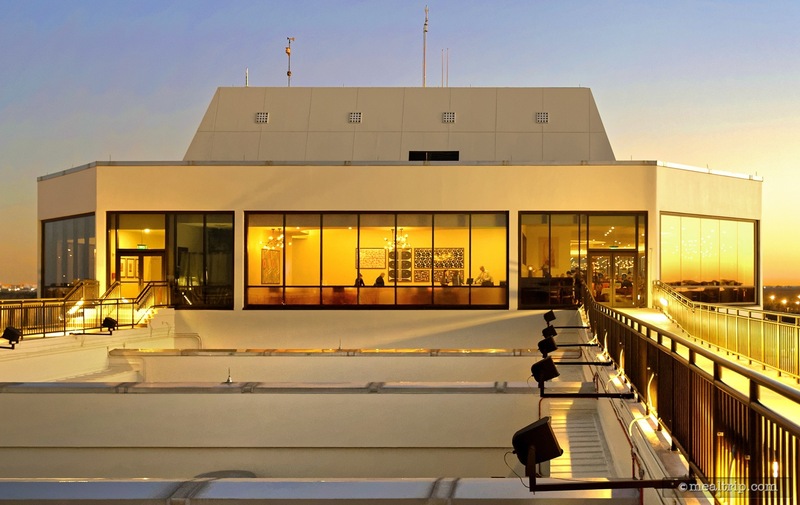 Now, I know there was some concern that Disney was taking away the California Grill observation deck for this event… but nothing could be further from the truth. You could stay in the main event space (which has floor to ceiling glass windows), if you didn't want to go outside… but if you did want to venture out… the second observation deck (technically the north-east deck) that's not really used for much is the "private viewing area" for the Celebration at the Top event. Before the fireworks begin, everyone gets a glowing plastic flute of sparkling wine (the Michelle Brut again… and yes, you can keep the glowing plastic flute)… to enjoy with the fireworks! Now, is this observation deck as good as the north-west deck? You can't see quite as much of the Magic Kingdom below, but the fireworks are in the air… so it's your call. I've seen the fireworks from all over the park, and this was a nice change. You will be looking at the backside of California Grill guests watching the fireworks from their walkway… but then again… they will be watching you, because you've got all kinds of glowing glasses and squishy sparkly glowing firework stars and trying to figure out why you're so important. So for me, it's a good tradeoff. Did I mention I got to drink a whole bottle of WindRacer Chardonnay? 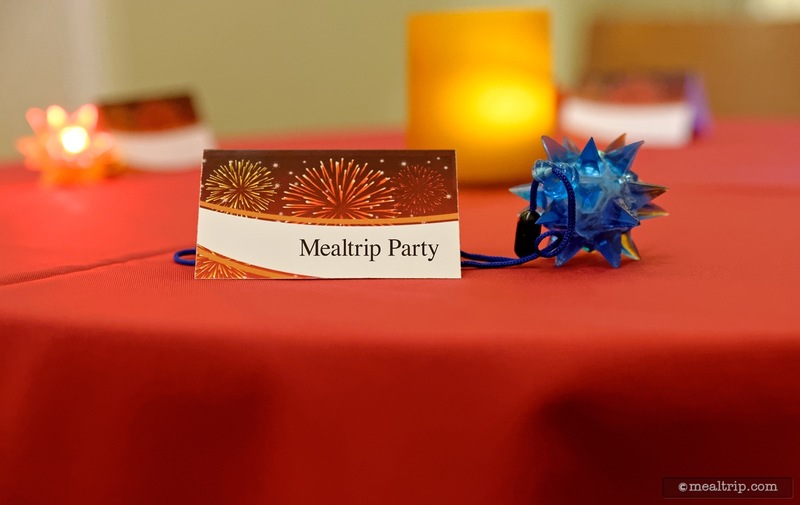 After the fireworks are over (and this is where most other firework parties end)… you're invited back into the seating and food rooms for a few more surprises! The open bar… is still open and serving beverages of all types (for what seemed like an hour after the firework start time)… which is very cool. Meanwhile in the food room… an entire table of desserts has been added, while the sushi and warm items have been combined onto one table (if you wanted more of those good eats). The desserts that were offered here, were a step up from pretty much all of the "dessert party" baked goods that I've found at recent firework party events (by a good bit). Pasty Chef Lexi (and team) did an amazing job creating five different desserts. The Creme Brûlée Tart came in it's own little edible cup (which normally I'm not a huge fan of, but these seemed fresher and not incredibly difficult to bite into). The Fruit Tart shared a similar cup and cream format but included a wider assortment of fruit that all appeared to be fresh cut and had a nice sweet (and probably slightly lemon for color retention) glaze on them. I couldn't help but notice my table mate was eating just the fruit and a little cream off the top of her Fruit Tarts… that's just how good the fruit was! The Assorted Cream Puffs were fresh (but tasted very similar to me… I'm always looking for a punchier puff though), while the Chocolate Ganache Cupcakes seemed to be another guest favorite. The chocolate cupcake had a dollop of chocolate ganache on top… and then the whole thing was dipped in another layer of chocolate to seal the chocolate ganache to the cupcake below! Very cool. All too soon (well, it was actually more like… an hour after the fireworks), the bartenders came around to each table and did a little "last call" announcement before closing up shop, and that… would be the end of the event. Some would question the $99 price tag here… but you don't have to look too far away (just out the window in fact) to find a $99 "cupcake on a boat" party that doesn't get you a chair, air-conditioning, sushi, or warm savory flatbreads … you get to stand up with seven or eight desserts. There's no comparison there… the "Celebration at the Top - Savor, Sip and Sparkle" wins… hands-down. Another point I alluded to in my article when this event was first announced… if you were to purchase a sushi sampler, a flatbread sampler, a dessert sampler, and a bottle of wine at California Grill… you would easily be at $99 anyway. For me… this is one of the better fireworks parties out there. I love seeing savory food options start the evening, it's great having multiple cocktail and wine selections available, the desserts were better than at some dedicated "dessert parties" that I've been to, the 40-ish guest cap seemed about right (i.e. the space wasn't crammed full of people and there was never really a line anywhere) and the company was amazing as well. As I've mentioned before, you'll usually end up talking to someone that is as into food and Disney as you are, and that's a lot of fun in it's own right. 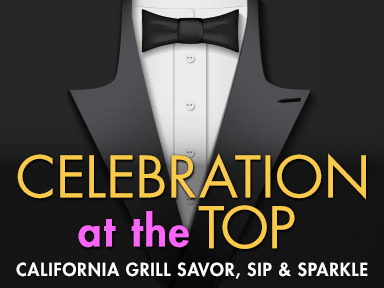 I hope the Celebration at the Top - Savor, Sip and Sparkle event continues. There's a couple "special events" I can think of that aren't as deserving as this one is . I've just looked at the book page and there are still some spots available over the next six Sundays. If the food bites sound appealing to you… this one won't disappoint. I'm super glad I went! 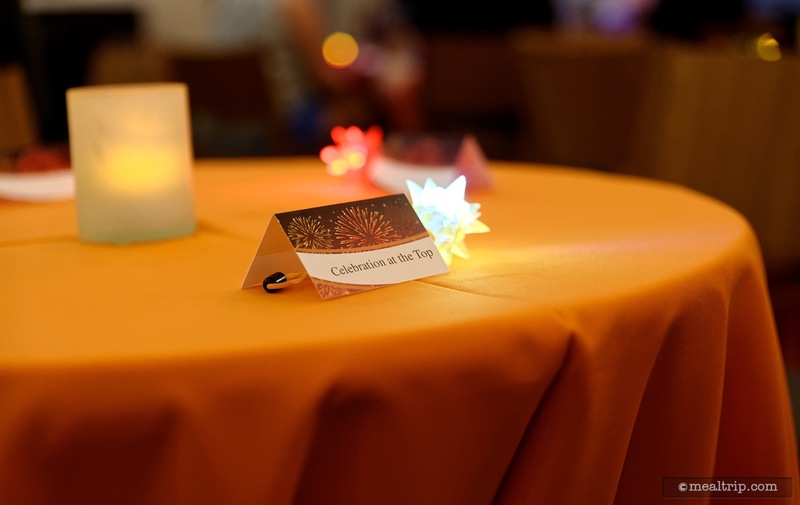 Be sure to check out our 62 item photo gallery page for Celebration at the Top - Savor, Sip and Sparkle! If you have attended this event, we would love to hear what you think! CLICK HERE to view all 62 images in our photo gallery.